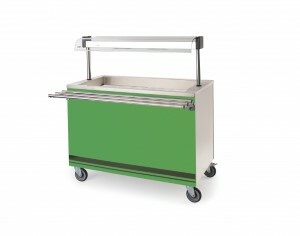 The Versicarte range has been developed in consultation with school meals organisations.These great-looking food service trolleys will help attract children to your meal service.Child height available in many different sizes and finishes. 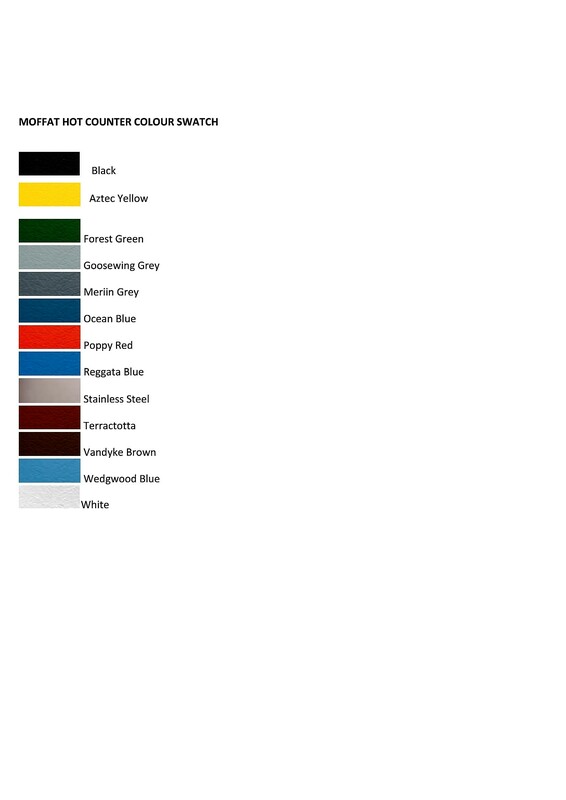 Versicarte Colour swatch. Please choose finish required before ordering. 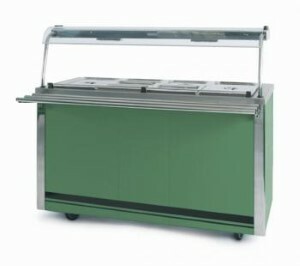 This Polarplate versicarte is perfect for salad, desserts, yoghurts etc...without the expense of a refrigerated unit. Just freeze the plates and you have a cold counter for a minimum of 2 hours. 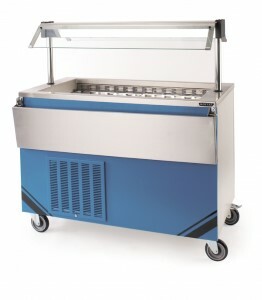 These refrigerated counters are fantastic for salads, desserts, drinks and even sandwiches and salads for Senior school. 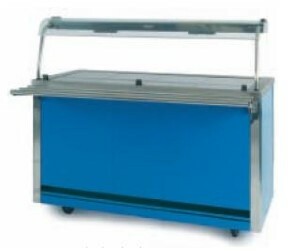 Option of refrigerated cupboard or ambient cupboard.